It's so incredible to see her running back home. Micaela is a wild southern white rhino living in South Africa — and she just barely got her life back. Micaela had been shot in an apparent poaching attempt last week. 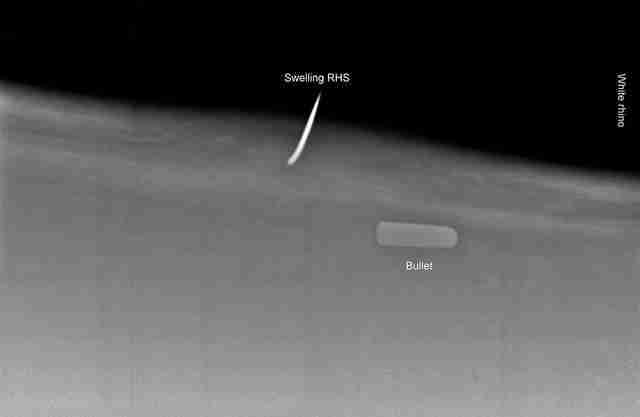 The bullet hit her in the upper part of her back. Rescuers from Saving the Survivors, a group that saves injured wild animals, sprung into action to help her. 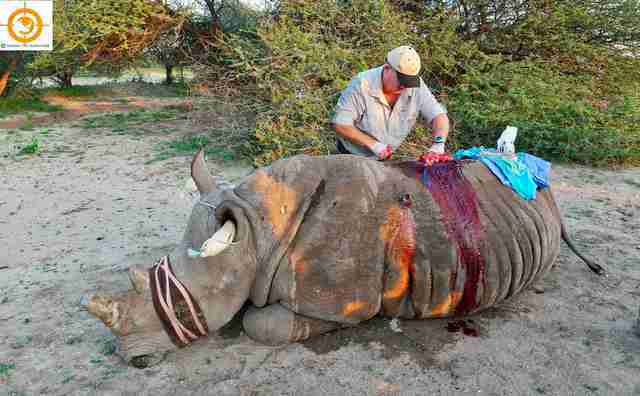 Poaching remains a rampant problem for rhinos everywhere. 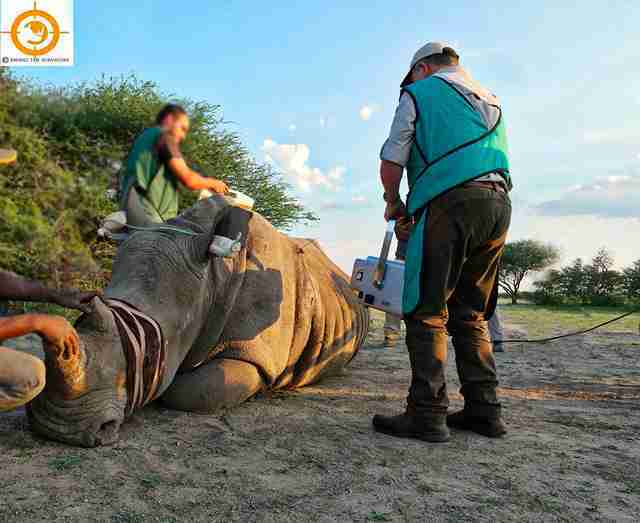 And South Africa alone, where domestic trade of rhino horn recently became legal again, saw 1,028 rhinos killed just last year for their horns — a product in high demand for use in traditional medicine in Asia. 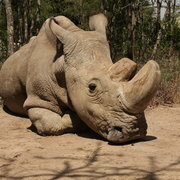 It's estimated that there are just about 30,000 rhinos left in the whole world. 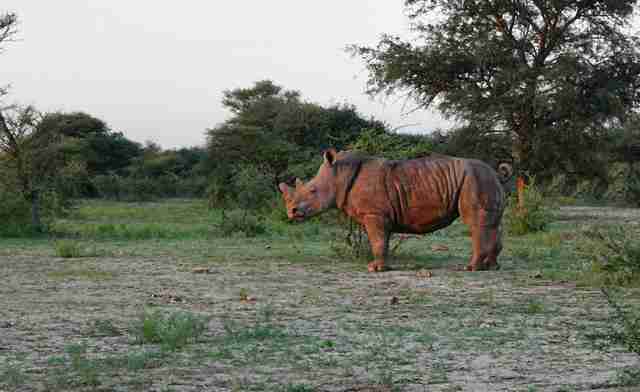 So every single rhino life counts for the future of the species. Micaela was given anesthesia so that the vet team could examine her with a portable X-ray machine that showed exactly where the bullet was lodged. 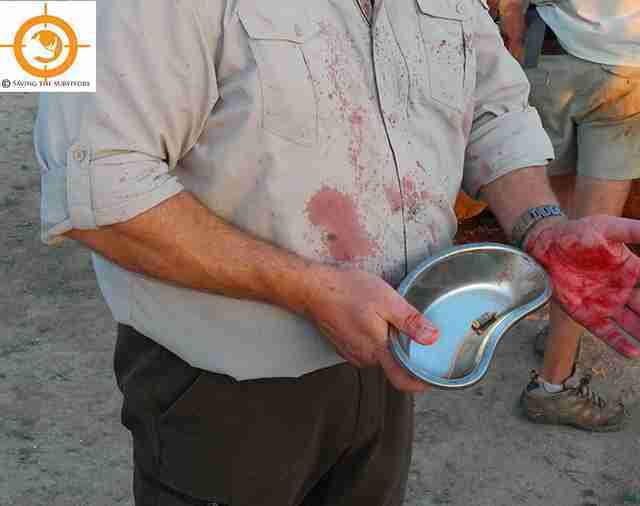 Then she was given surgery to remove the bullet and her wounds were treated with antibiotics. Micaela's rescue story is happy news for rhino lovers around the world who are grieving the death of Sudan, the last male northern white rhino, who died of age-related illness this week at Ol Pejeta Conservancy in Kenya. Just as Micaela woke up from the procedure, a camera was poised to capture her reaction to her life being saved. She sprung to her feet and bounded into the distance. Her rescuers are confident she'll make a full recovery. To help save more rhinos like Micaela, you can make a donation to Saving the Survivors.